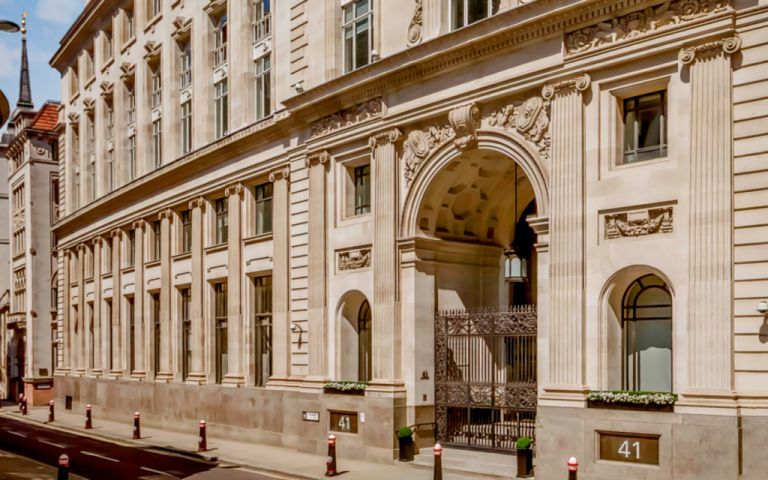 Situated in the heart of London’s square mile, these prestigious serviced offices are within a Grade II listed building. You enter the vast reception area, a former banking hall, and are greeted with a chequerboard marble floor and ornate pillars. The dedicated reception staff will meet and greet your guests, handle your mail and answer your telephone calls. The building retains many original features but benefits from the very latest telecoms and high speed broadband. The unbranded offices are all air conditioned, fully furnished, have 24 hour access and plenty of natural light. There are two meeting rooms, kitchen facilities, bicycle storage, showers and disabled access and facilities. The serviced office is close to Bank Tube Station, situated within the heart of the City's square mile. The main entrance is down the side of the Bank of England and Liverpool Street Station is less than a 5 minutes walk away. Easy Offices Where is the nearest coffee shop to Lothbury? Easy Offices Where is the nearest place to get lunch near Lothbury? Easy Offices Where is the nearest car park to Lothbury? Easy Offices Where is the nearest public gym to Lothbury?